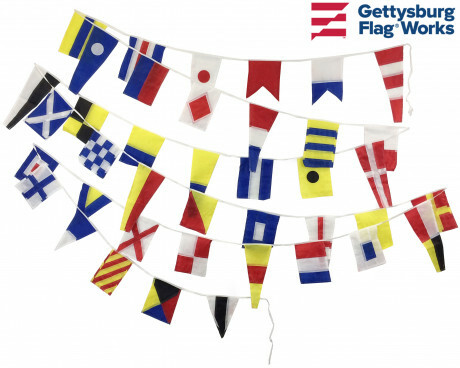 Nautical flags have been in use for nearly as long as ships. Sailors have always needed a way to send information quickly and accurately, and signal flags filled that role for centuries before the development of radio and other modern technologies. Nautical flags still fill a practical role on many ships because they can be used and maintained without needing any specialized skills. It is also common for captains to fly a decorative nautical flag, and over the centuries a few of those flags have become as famous as the captains that flew them. The oldest flags are those that were designed to facilitate identification and communication on the high seas. Many systems have been used over the years, but most modern flag signals rely on a set of codes for common phrases combined with flags that stand for specific letters and numbers that can send more complicated messages. Other systems often relied on specific flag movements in order to communicate, but those systems were often difficult to use in bad weather and have largely fallen out of use outside of emergency situations. Flag signals have become less important in the modern era due to radios and other innovations, but they are still vital for any ship that wants a signaling system that can work when a ship has lost power. 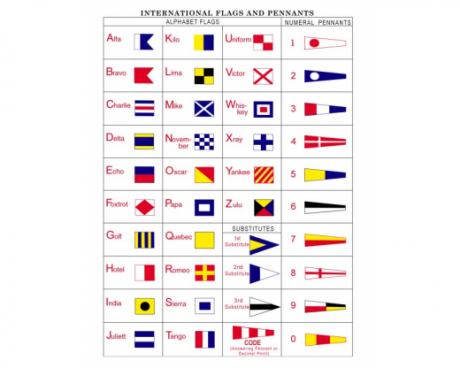 Many captains fly a nautical flag to help identify their ship. Most modern vessels simply fly a national or regional flag in order to identify their point of origin, but some individuals have also flown unique flags of their own. The pirates that sailed the Caribbean sea and the Indian ocean during the colonial era are among the most famous of those captains, and their exploits were enough to make their flags famous even centuries after their deaths. 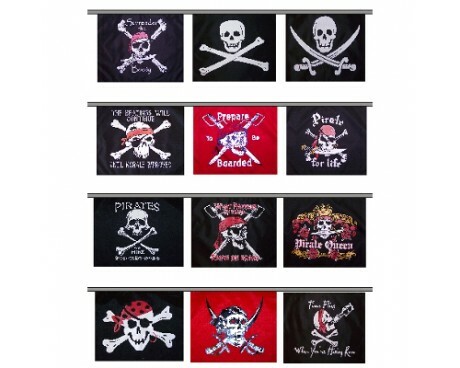 The Jolly Roger is the most famous of those flags, but most of the famous pirate captains also had their own distinctive flags. It's rare to see that sort of flag flying over a modern ship at sea, but many people choose to use those flags in a decorative role on land.